I think it is important to know and understand the times in which we live. 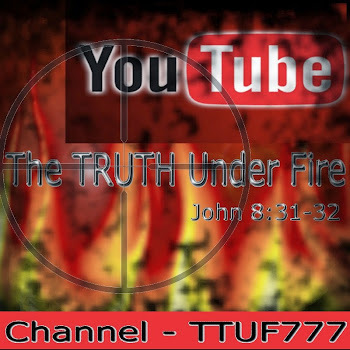 I hope you will view the following video clips, but more importantly, study the Scriptures that you may know the signs of His coming. Read more! The Unrecognizable Form That The Church Has Taken On... should impel us to examine our ourselves, to see whether or not we are in the faith. We are living in the age of deceit. The whole world is being driven by the deceit and lies of Satan and those who belong to him. Good is evil and evil is now good, acceptable, politically correct and now thanks to our very own Government forced down our throats. From the time of our founding Fathers and the shaping of our Constitution, when once we placed high value on liberty and truth and justice for all, our country stood for Faith in the One True God, and lived a lifestyle that was a testament to Him. Our laws were drafted after the laws of the living Word of God. The Declaration of Independence declares our inalienable rights, incapable of being repudiated or forfeited because they were given by God. "In God We Trust" was printed on our currency during the time of the Civil War, but even extends further back to the War of 1812, when Francis Scott Key wrote the Star Spangled Banner..
America, it was the home and refuge from tyranny where one could live in freedom and peace. People by the thousands began their pilgrimage to this new world and this new life. But like everything in this world, we are watching it come to an end. As the many thousands from every corner of the earth entered this new land, so did their cultures and their gods. Soon America was a haven for everyone and everything. So as the people go, so does our government and our laws, our morals, our values and our faith. ...But what about the Church? Christianity was once the primary influence in our new society, but no longer, just as we read in the Bible that the people forsook their God and replaced Him with false ones. New ideas became the craze. We became enamored with the intellectuals in our society as they developed new doctrines for us. The new doctrines of materialism, communism, humanism, socialism, evolution and atheism and the like have all influenced our morals and replaced our Christian values. We now live in a multi-cultural society. We are forced into “opening up” our minds to the wave of new ideas and lifestyles and have abandoned our love and pursuit for truth and for God. We are now being poised for the New Age, the New World Order and a false sense of peace, unity and “community”. Many of our Evangelical Churches who have been strong Bible believing Christians, are now working on behalf of Satan. They are those who are undermining the Word of God and denying its power and authority. Why do they feel the need to re-invent God? There is an open assault, an all out war on God and the authority of His Word. What is this new theology that demands Almighty God, The Lord and Creator of Heaven and Earth to bow and conform to our sinful ways? GOD IS GOD AND HE ALONE IS WORTHY OF OUR ADORATION AND PRAISE. ...But what about the Church? We no longer have time for Bible reading, instruction of the Word or family devotions. Many can’t seem to find the time to go to church. We have our jobs, our careers, our schooling our activities. Like the song goes, “everybody’s work’n for the weekend” and the weekends are OURS. It's time for us to relax, play and live a little. Yes this is the “World’s” standard, but sadly it has become the “Church’s” standard of life as well. ...But what about the Church? Godly parenting has been replaced by the teachers union and public schooling which has been stealing our American youth from their Christian heritage for years. Prayer and the Bible have been replaced with Darwin and the monkey. Television, Hollywood, and the news media all prefer to form public opinion rather than just report the facts and are heavily influencing the moral fiber of this country and our youth’s future. Have you noticed even the cartoons and commercials depict parents, or any authority figure as being stupid buffoons. Our youth have had a steady diet of disregard, selfishness and disrespect. This indoctrination has produced a whole generation that has no healthy fear or respect for parents or authority figures. They have been taught just the opposite. How then can our youth ever have a healthy reverence for God or His Word? The age of technology with all of its computers, internet, email, iPods, cell phones, texting, twittering, blogging and video-games have become the babysitters of our youth. Where are the parents? Who is supervising? Who is watching and protecting and instructing this next generation, our future parents and leaders. Remember the old saying, “Parents do you know where your children are?” Hmmm………. We are watching this country in a moral free fall, …but what about the Church? What has become of the Church? Why is it that the Church no longer has the influential lead in this world? Why is the world such a heavy influence in the Church? It’s like the movie "The Invasion of the Body Snatchers". There is something evil lurking about ready to take over the world and our lives as we know it, yet no one seems to be aware or even care for that matter. I believe that it is Satan’s plan to neutralize the Christian Church, who is the Body of Christ, by putting us to sleep, spiritually and morally. I believe many have lost their Holy zeal, their love for God and for His truth, their spiritual alertness, and the ability to discern between good and evil. His distractions are succeeding, because we have left God out. We don’t pray in earnest, we don’t read and study the Word of God. Many have grown weary in well doing, grown complacent in action, and the end result is an inactive, ineffective and impotent Church, open prey for Satan and all of his deception. I really believe that it is our calling to seek out those who are lost, those who are straying, those who are deceived and being deceived, and bring them to a saving knowledge of our Lord Jesus Christ. Isn't it our responsibility to know the Word, to share the Word, to correct the error, and to make plain the truth of God’s Word? I’ve heard it said that, “Satan is changing the vocabulary of the Church and gutting the very Word of God,” and we allow it. Why? Just take a look at the new translations of the Bible, they’ve been perverted and twisted and are almost unrecognizable. Our teachers don’t teach the Word anymore, preachers aren’t preaching it, even worse, the “so called” Bible Scholars of today have changed it, corrupted it in the guise of making it “more user friendly” “socially acceptable” “politically correct”. Our churches are filled with social clubs, activity, entertainment, great music, drama, and yes………………even coffee and donut breaks between worship and the teaching of the Word. I was dumbfounded at the lack of respect and reverence for the Lord and the teaching of His Word while visiting a local church that thought that this was a great idea. No one seemed to sense the grieving of the Holy Spirit because we have become so desensitized. New Age Theology has infiltrated the Church? Why? Where is all this New Age theology coming from? Who is teaching it? Do we know the doctrines of the Bible? Do we know whose word is being taught, man’s word or God’s Word? Do we know to search the Scriptures and prove all things whether they come from God? We have lowered the bar of truth for political correctness, and those who have not been born-again by the Spirit of the living God are preaching in our pulpits, and we’re listening? Why? The immorality of this world has gained access to the Church without a fight. Why? There are homosexuals preaching from the pulpit, who tell God, the Creator of the heavens and the earth that He’s wrong and they’re right. Excuse me? Pastors are now teaching GOD’S FLOCK that the Bible, God’s very own Word, can’t be trusted or believed. It is a mere metaphor, a suggestion open for discussion and debate. Hello! After all it is more important that we have a “sense of unity and community” than the actual truth of the Bible. What? I read the following quote in an article entitled “The Battle over Truth for Our Youth”, that was published by The Berean Call. They quote Brian McLaren, who is an author and leader in the Emergent Church. Well Brian, what are we saved from? SIN. It’s as plain as day to me…….what about you? Are we shaking our heads in disbelief or disgust? Is this all we can do? Do we run? Do we hide? 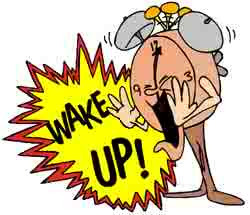 Do we stand back and do nothing, because the end of all things must come, for God said that it would? Lying Signs and Wonders Are Coming. 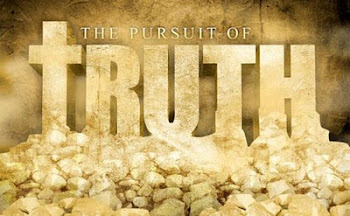 As the wall of truth is being torn down a “new wall of understanding and interpreting truth” is being put up. The foundation wall of the Church is cracking and is being built on quick sand. It is “On Christ the Solid Rock I stand, ALL other ground is sinking sand”…………..for we can build on no other foundation than Jesus Christ. He is our Chief Cornerstone. As my Pastor so aptly put it, “I cannot help but think that this grand deception of the last days is a grand distraction because of the subtleness of its author. Satan focuses the “new" church on entertainment, social issues, political correctness, tolerance, and unity while the truth is foresaken (Philippians 3:10-19). What do we do? PUT ON ALL YOUR ARMOUR. “Finally, my brethren, be strong in the Lord, and in the power of his might." "Wherefore take unto you the whole armour of God, that ye may be able to stand in the evil day, and having done all, to stand." "Stand therefore, having your loins girt about with truth and having on the breastplate of righteousness;"
"And your feet shod with the preparation of the gospel of peace;"
"And take the helmet of salvation, and the sword of the Spirit, which is the word of God. :"
I exhort you to watch, and earnestly contend for the faith that was delivered to you; keep a light touch on this world and look up for your redemption draws nigh. Preach the uncompromised Word and do not compromise. Prepare for hard times and the testing of your faith. Put on the armor of God and be ready for battle. Jesus IS coming back for His Bride. Are you ready?